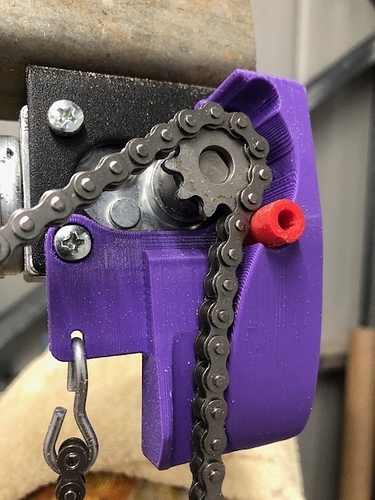 A easy to print option using existing mounting points and screws and includes a hole to hook the loose end of chain. Print on the flat side that becomes vertical. Includes a roughtly 15 deegree angle to match the frame. I used PLA and it works well. Print the locking pins and insert in to the screw hole after intalling chain, this locks the chain in place.